Rise and Shine for the Cats! 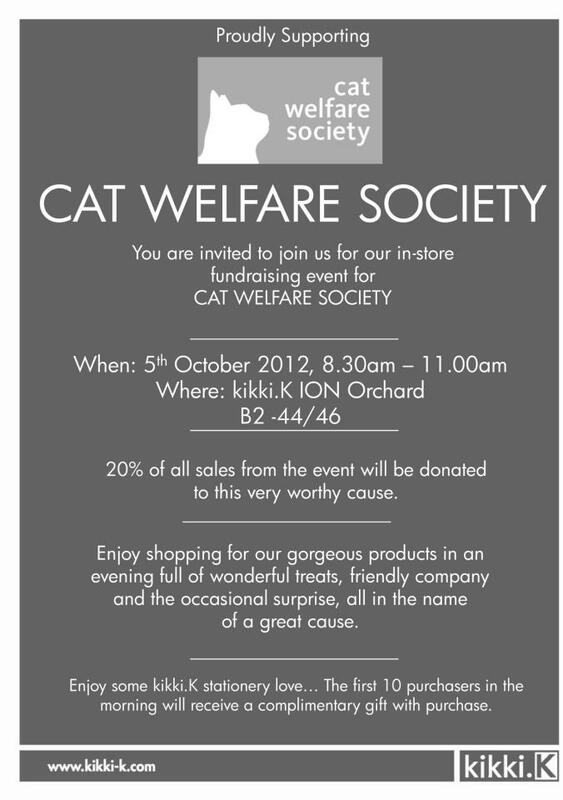 kikki.K ION Orchard is holding a fundraising event where 20% of proceeds will go to Cat Welfare Society on FRIDAY MORNING 5 OCT 8.30 to 11.00am! Located at B2-44/46. CWS will also be holding their 2013 Calendar Lunch Time Sale and Pre-Order Collection at ION Burger King B3-21. See you at ION on Friday!